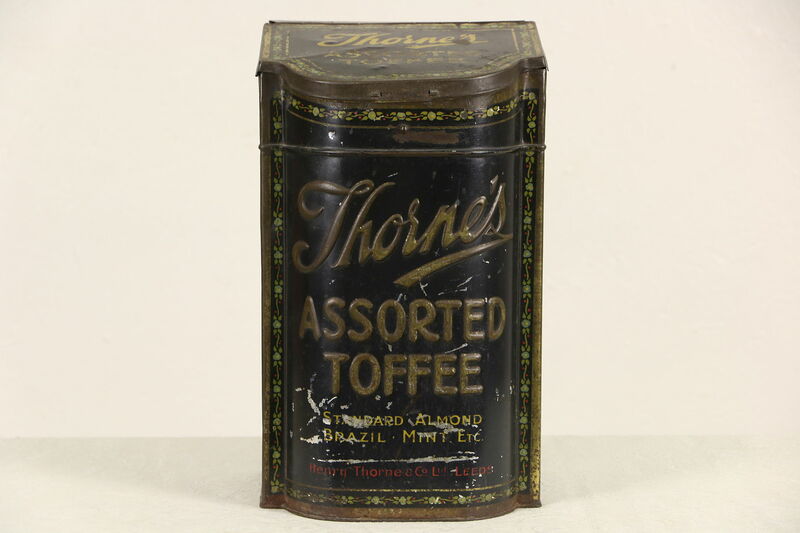 Signed "Henry Thorne and Co., Leeds," England, this "Assorted Toffee" tin candy hopper or bin dates from the late 1800's. The original painting is nicely worn with charming antique patina. Size is 9 1/2" wide, 8" deep and 16" tall.